Public transport within a city and the nearby regions is called "ÖPNV" or "Öffentlicher Personennahverkehr". Tickets can be bought in different ways: from the driver, at a ticket machine or online (see our section Useful apps) for other forms of transport. Discounts are available for tickets with ten trips (Ger. "Zehnerkarten"), monthly or yearly tickets ("Monatskarten" or "Jahreskarten"), for students, etc. Travelling without a ticket is called "Schwarzfahren" and incurs a fine of at least €40. For longer journeys, travelling by rail is common. "Die Bahn" offers several regularly changing discounts, weekend discounts (Ger. "Schönes-Wochenende-Ticket"), federal state tickets (Ger. 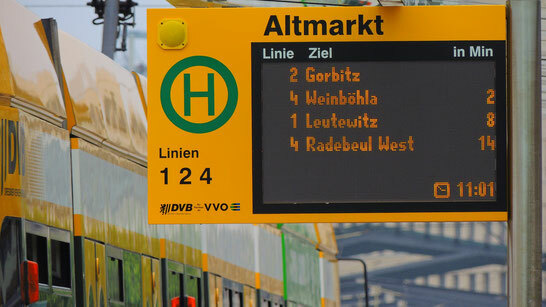 "Ländertickets"), cheaper fares for booking well in advance, booking of seats and rail cards (Ger. "Bahncard") for regular traveller discounts. Children under 15 travel free when accompanied by their parents or grandparents. As from 2013, long distance bus travel is allowed in Germany and is becoming quite popular as an alternative to the railway. Bookings can also be made online and the companies are called Flixbus and DeinBus. These can be found at taxi stands in cities, hailed on the street as they drive by or ordered on the phone. Most taxis have set prices. 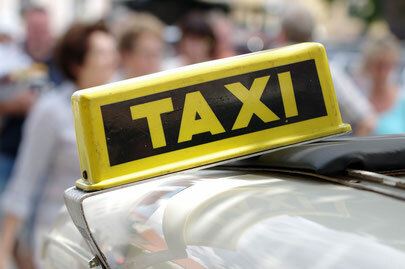 Check the Yellow Pages or use booking services such as MyTaxi. 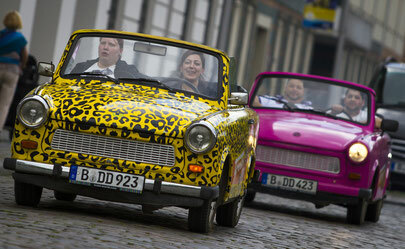 A "Mitfahrgelegenheit" (possibility to travel with others) is offered in many cities through a "Mitfahrzentrale" ("MFZ"). Try BlaBlaCar online too. Car sharing is growing in the major cities and is provided by companies such as car2go or DriveNow.